I'm wondering - how do I use it ? It's a list of roots, and words based on those roots, with example sentences. There's always the instinct to stick them in Anki and work my way through them, but I don't know how to organise the cards effectively. I want to get a deep appreciation for the links between words via their roots, but also focus my studying on the most important words first, rather than taking a scatter-gun approach and learning all entries indiscriminately. Does anyone have experience in using such bare reference lists? I recently asked this very question in another thread on "root-based dictionaries" or something like that, because this book came up. 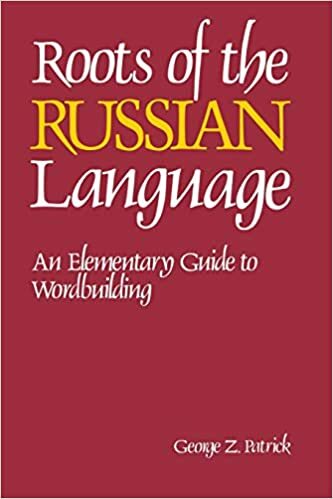 Indeed, I've seen people over the years including Alexander Arguelles talk about this book in particular as a fantastic resource for building Russian vocabulary. I adapted an approach Arguelles recommended on the old forum for learning Chinese characters to this book and, found it to be extremely helpful. It's an old-school, pen & paper rote activity, but it worked for me. 1-200, 10-210, 20-220...100-300. etc. working up to writing 1-500. I had been doing this for awhile when I made my own post questioning how to use this book, and halfway through writing it realized I ought to adapt this method. I did it for a couple weeks but fell behind due to time constraints, but I did find even that small amount of work to be extremely helpful in being able to parse new words in context. I base my approach off of each root, rather than considering each word as an isolated entry. So I took the first root, wrote out each word while making sure to read the example sentences and understand the nuanced meaning of each. Then I did the first two roots. Then the first three, etc. I did this until I ended up with a string of roots that I could write all the words down in about 15 minutes. Then I just shifted forward as with the Chinese approach: start with the words in the 2nd root, write up until the next new root, and so on. One thing I did not do, that I wish I did, was to read/write out the example words in the introduction first. I just wanted to jump in and try this approach, but I feel that the preparation of having worked through the intro in this way may have helped a little bit. As for the example sentences, you could put them into Anki for sure. They are decent and many seem to come from the press, rather than being simply constructed by the author. I don't really enjoy Anki so I haven't found a good use for them yet. I also haven't really looked at the exercises in the back in any detail, but I think they might more or less send you on a scavenger hunt through the book to pluck words with certain infixes or something. i downloaded this book free. if anybody need i can share.